The Port of Oakland tasked HMMH with analyzing community concerns associated with the FAA’s implementation of the Northern California (NorCal) Metroplex, which went into effect in late 2014. A metroplex is a geographic area that includes several commercial and general aviation airports in close proximity serving a large metropolitan area. 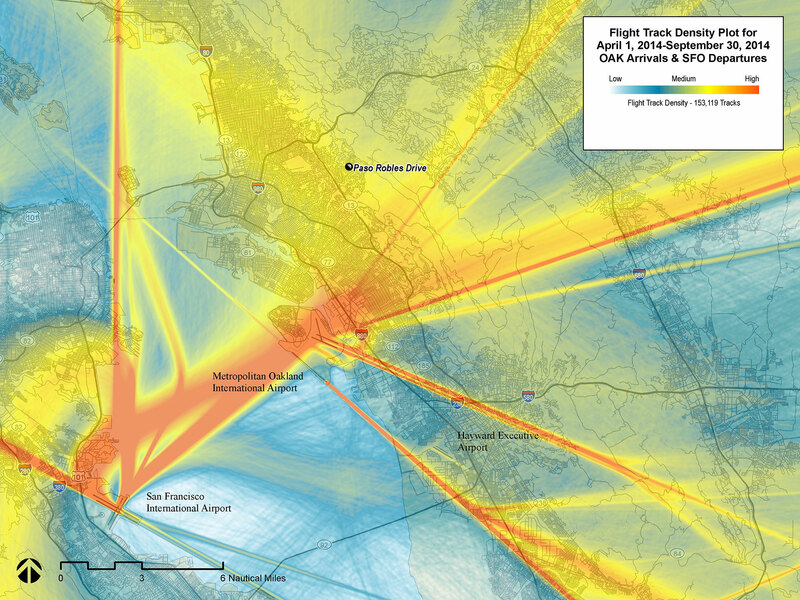 HMMH collected and analyzed flight track and aircraft identification data from the Oakland International Airport (OAK) and San Francisco International Airport (SFO) Noise and Operations Management System (ANOMS). 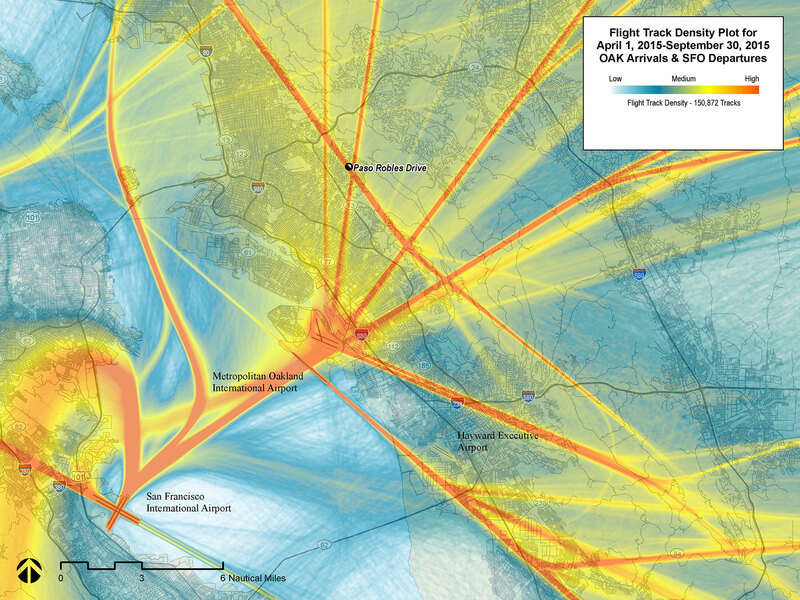 Using this data, HMMH generated graphics depicting the locations, altitudes and concentrations of aircraft flight tracks before and after the phased implementation of the NorCal Metroplex Project in support of OAK community concerns. Flight track and aircraft identification data was also used to model noise levels before and after NorCal Metroplex implementation to determine noise exposure changes in the communities surrounding OAK. OAK communities began working with the Port of Oakland and the FAA to consider potential changes to procedures that would evaluate moving flight paths and lessen aircraft noise impacts to levels that were less or equal to those that existed prior to the NorCal Metroplex. Throughout this process, HMMH provided technical analysis and airspace expertise to guide and inform OAK communities on which procedural changes would generate the most benefit and be recommended for implementation to the FAA. The FAA’s effort to change flight procedures in the Bay Area associated with implementation of the NorCal Metroplex is ongoing, and HMMH continues to assist the Port of Oakland in evaluating potential procedure changes as they become available.